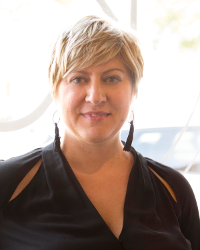 After being in the salon industry for over a decade, Karla Mironov founded Slope Suds Salon in Brooklyn, NY. Now, after almost 20 years in “the business” she’s opened a second location in Charleston, Karla Jean Studio. After perfecting the signature Sahag dry cut technique Karla continued pursuing advanced training directly under Nick Arrojo of TLC’s hit reality series What Not to Wear. While traveling between her two salons to serve her loyal following she became a certified Master Balayage Artist at the L’Oréal Professionel Academy in NYC in 2017. Equipped with this extensive training Mironov brings a unique skill set to share with her team in weekly training sessions and daily with the guests they serve. It’s about empowerment – My team and I have dedicated ourselves to building a community …in a way that brings creative diversity to Brooklyn and Charleston through cuts and culture. Alecia began her career with a strong Aveda foundation that reinforced her natural creative abilities and sharpened her cutting and color techniques. She has taken several advanced education classes in both skillsets specifically, with Davines and Allilon. 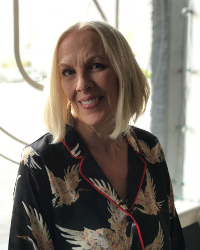 Creating a truly special and unique experience for each guest is what Alecia loves most about her craft, with balayage as one of her favorite services to offer.